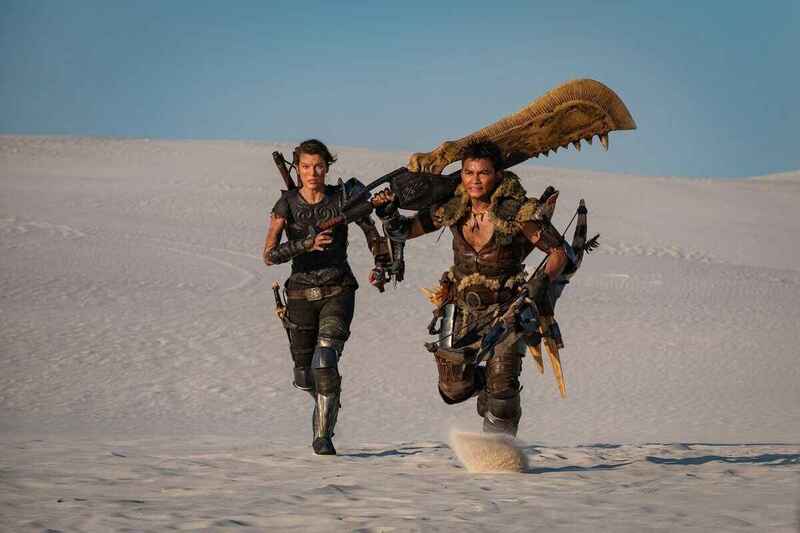 Following the negative feedback from the Monster Hunter fans about the upcoming Monster Hunter film starring Milla Jovovich, Sony has shared an actual photo from the production of Monster Hunter Film. The new image was surprising as the stars for the movie are not holding any modern tech weapons. Instead, they are seen running in a desert equipped with weapons from the Monster Hunter world. Tony Jaa, the Hunter, is seen holding a greatsword on the right arm and a crossbow on the left. Meanwhile, we can also see Milla Jovovich holding nothing but has a dual blade on her back and a slinger on her left arm. All the new weapons that were shown in the image exists in Monster Hunter game, and it’s good news that these will available in the movie. 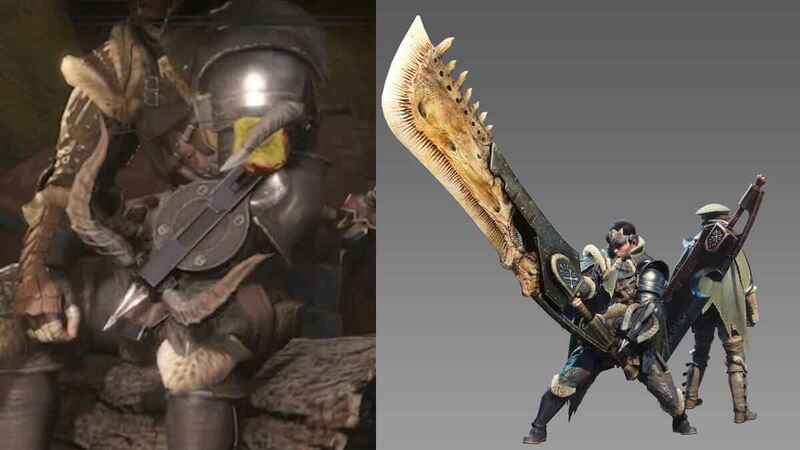 While the production already received a lot of unpleasant feedback about the modern tech weapons from the early photos shared by the stars, it seems like showing these Monster Hunter weapons will lift the spirits of many Monster Hunter fans. Monster Hunter film follows the story of soldiers that fall into an alternate dimension where they found themselves facing Monsters that are about to enter the Earth’s portal. Monster Hunters and soldiers joined forces to prevent the monsters from entering the portal. Monster Hunter movie is still in production and no official release date has been announced yet.